Singer-songwriter Mitski has announced more Be the Cowboy Tour dates for spring 2019, this time hitting North American cities that she didn’t make it to in the year prior and performing with support from Jay Som. The new dates are a follow-up to Mitski’s current North American tour, a run that’s seen sold out shows in every city she’s visited. Next year’s shows are still in support of her critically acclaimed (“She is fast making herself into one of the most interesting songwriters of her generation”) Be the Cowboy LP, in which she once again took on the role of storyteller, but this time of other (fictional) people’s stories. Tickets for the added dates go up for presale on Dec. 11 with general on-sale opening on Friday, Dec. 14. For more information, check out Mitski’s website. 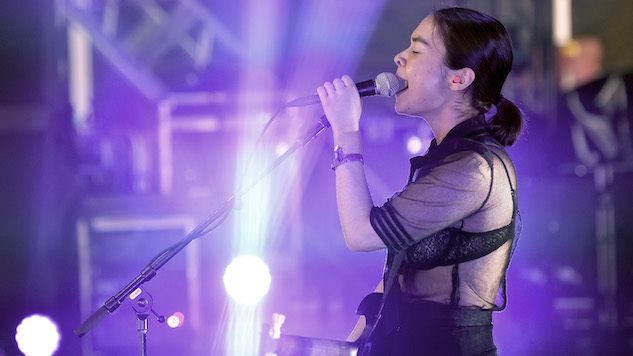 Revisit out live Mitski performance from 2015 below and find her spring 2019 tour dates further down. While you’re at it, find out where Be the Cowboy and standout single “Nobody” landed on Paste’s lists of the year’s best albums and best songs, respectively. 19 — Baltimore, Md. @ Rams Head Live!